I absolutely LOVE this kit. It is amazing! I did purchase it when it was a TSV so it was as a reduced price than what it is listed for on QVC now. I also did get this on auto-delivery so I will review the next shipment in December when it arrives! This helps to even out skin tone and on me it helps to conceal the red areas on my cheeks. It does have the silicone feel - which I usually hate - but this product helps my foundation looks smooth so I will deal with the silicone feel! 0.08-oz BB tinted undereye corrector--exclusive to QVC until 11/30/13! This is BY FAR my favorite product in the entire kit. It is so creamy and really helps to conceal the purplish tone I have under my eyes. Since this is a corrector a concealer is still needed. Everyone has his or her own way of applying correctors and concealers, but I tend to use this corrector under my foundation. I then use a concealer (MAC Prolong Wear is my holy grail one). Every now and then I will apply both the corrector and concealer over my foundation. I was asked to do a review on this mascara so here it is. I really like this mascara. 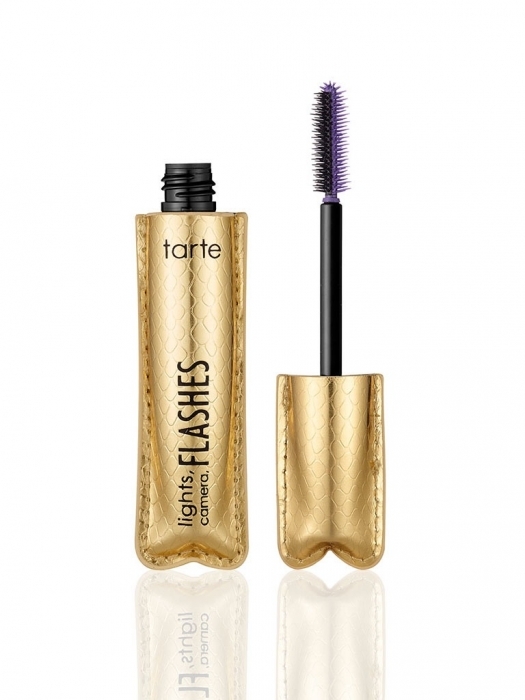 My holy grail is tarte's Light, Camera, Lashes! but this one is a close 2nd. The brush is a hard plastic bristled one that can "hurt." If you do not like a plastic brush you will hate this one. I find that this mascara does a great job at separating my lashes and does create a lot of volume. I am not sure is creates 752% more as clinically proven, but it definitely does make me look like I have more lashes than normal. This was just ok for me. Nothing stays on my waterline so I am not this disappointed. It did stay for a fairly long time on my upper lash line. 0.04-oz LipSurgence power pigment in Awakening, a rose pink--exclusive to QVC until 11/30/13! I love the LipSurgence products. They stay on for a very long time and they do not make my lips dry. This is a good every day color. Special edition complexion brush--exclusive to QVC until 11/30/13! I love the pointed end. It is great at applying an undereye setting powder and the flat end is great at blending out the concealer/foundation line. I tend to use my fingers more than a brush in general, but this one is nice. Nice large bag that fits a lot of makeup. Great for traveling!